The Philly's Best story began in the early 1980’s when native Philadelphian, Bob Levey, was stationed in San Diego, California while serving in the Navy. Bob longed for some of his hometown favorites, especially a real Philly cheesesteak. Being 3,000 miles away from home is one thing, but not being able to get an authentic Philly cheesesteak is another thing completely! After his honorable discharge, Bob went back to Philadelphia and "left no roll unturned" in his quest to bring the authentic taste of his beloved cheesesteak to Southern California. 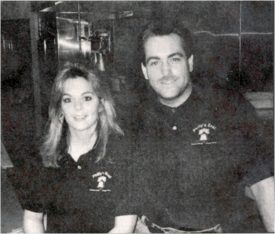 In 1992, Bob and his wife, Andrea, also a native Philadelphian, opened their first Philly's Best Cheesesteak & Hoagie shop in Fountain Valley. Starting with that first store in Fountain Valley, Philly's Best has grown to include over 20 locations throughout Southern California. Philly's Best Cheesesteaks continues to set the standard for authentic Philly cheesesteaks, and we have the awards to prove it. Southern Californians voted Philly's Best Cheesesteaks the "Best of LA", securing our spot as the ONLY place in Southern California to get authentic Philly cheesesteaks and hoagies. If you want to know what a real Philly cheesesteak tastes like - or you're a Philly transplant here on the west coast longing for a taste of home - come on in to your nearest Philly's Best Cheesesteaks location. As any true Philadelphian knows, it's all about authentic ingredients. 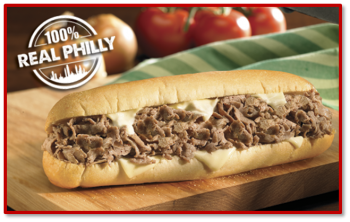 Philly's Best Cheesesteaks uses authentic Philadelphia ingredients to make all of our cheesesteaks and hoagies, starting with genuine Amoroso rolls imported from the City of Brotherly Love. 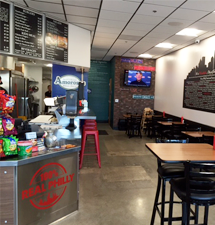 After you try one of our sandwiches, we are sure that your experience will give you an authentic taste of Philadelphia, and you will understand that while others may try, only WE can deliver Philly's Best Cheesesteaks!